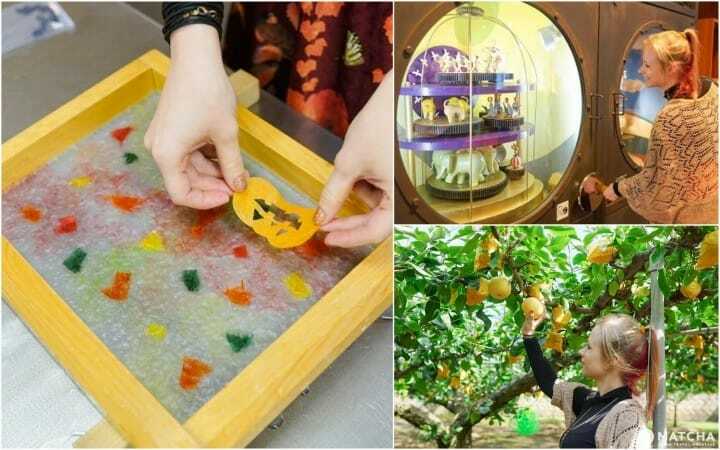 Tottori may be best known for its sand dunes but the city also offers fun activities like papermaking and pear picking, wonderful nature spots, and fascinating traditional crafts. Visitors can explore the city with a convenient 3-day bus ticket! Tottori is a prefecture full of charming sightseeing destinations located in western Japan. Stretching over a vast area along the coast of the Sea of Japan, Tottori is especially famous for its unique landscape including sand dunes, crystal clear waters, and outstanding rock formations. While destinations such as Mt. Daisen, Kurayoshi, which is famous for its traditional streets, and Misasa Onsen are all-time favorites of domestic and international visitors, Tottori City itself has very much to offer when it comes to sightseeing. After you've visited the Sand Dunes and Uradome Beach, how about exploring the lesser known beautiful places in Tottori City? In and around the city, there are places where you can see the beautiful local traditional crafts, historical buildings, as well as farms where visitors can enjoy fruit picking! In this article, we introduce must-visit spots and fun activities that can be enjoyed in various areas of Tottori City. All these areas can be reached using the local bus network. Let's Explore Tottori with the 3-Day Unlimited Bus Ride Ticket! To make to most out of your Tottori trip and visit all the beautiful places in the city, we recommend moving around by car or by bus. If you opt for the bus, consider using the very convenient Tottori-han Noriai Bus Norihodai Tegata. This three-day bus ticket is priced at only 1,800 yen (tax included) and allows users to ride the Tottori City buses how many times they want. You can choose between a wooden ticket or card ticket. We highly recommend the wooden ticket as it becomes a great keepsake from your trip. The Tottori-han Noriai Bus Norihodai Tegata is available in three versions for each of the three regions of Tottori Prefecture. In Tottori City, it can be purchased from Tottori Station Bus Terminal, the Tourist Information Center (Tottori Station), Hinomaru Bus Tottori Office and Tottori Airport. For bus routes and timetables, please refer to this page about the Tottori-han Noriai Bus Norihodai Tegata and this page on the Tottori City buses (Japanese only). Now let's explore Tottori's charming sightseeing spots by area. Tottori Toshogu Shrine was established by Ikeda Mitsunaka, lord of Tottori province and great-grandson of Tokugawa Ieyasu, the ruler who founded the Tokugawa shogunate, which brought peace to the country after centuries of internal conflicts. The shrine enshrines the soul of lord Tokugawa Ieyasu, being a branch of the Nikko Toshogu Shrine. Once you reach the shrine grounds, first pay your respects at the main hall. The shrine is surrounded by the lush green forest of Ochidani Park. The sight of plum blossoms can be enjoyed in the park in spring while in the summer, many people visit here to watch the fireflies. This wonderful power spot will surely enchant you with its beauty and tranquility. Access 10 minutes by car from Tottori Station. Take the bus from Tottori Station and get off at Kencho/Nisseki Mae bus stop. The shrine can be reached in 15 minutes by foot from there. Or take the 100 yen bus from Tottori Station and get off at Ochidanikoen Yamabikokan Mae Bus Stop. The shrine is located 5 minutes away by foot from the bus stop. At the Warabekan Toy and Children's Songs Museum you can let your inner child have some fun. This museum is charming archive of children's songs, toys and playgrounds. It is a great place for both young and old. The exhibits on the first floor include traditional Japanese children's songs, an old playground and even a classroom from one hundred years ago. Feel free to sit down at one of the classroom tables and enjoy the atmosphere of the old days. The second floor is a playroom. You can play freely with most of the toys on display. A play corner for children is also provided. Adults might find here toys that they used to play with when they were younger. You will probably find yourself playing with the toys and teaching childhood games to your friends and family in no time. The third floor features an exhibition of vintage and modern toys. Toys from all over the world can be found here. Most of these toys are encased behind glass but there are a couple of toys on display on the tables to play with as well. This museum will surely put a smile on your face. Make sure to plan in some extra playtime when you visit. Access 20 minutes walk from Tottori Station or 5 minutes by car. Take the Kurunashi 100 yen loop bus and get off at Warabekan bus stop. The Tottori Castle was constructed in a way to allow its lord to oversee the province. At the moment, only the ruins of it have remained on the hill in the city. On the grounds of the castle's ruins, you can also find Jinpukaku. A French Renaissance style building constructed in 1907, Jinpukaku was the first residence in Tottori to have full electricity which was seen as very progressive at the time. Jinpukaku used to be the venue for diplomatic meetings and local gatherings. It is a part of Tottori's history and a very popular sightseeing spot. Access 8 minutes by bus (Kurunashi loop bus Green Line - 100 yen) from Tottori Station. Please get off at Jinpukaku - Prefectural Museum. 4. Mikaen Farm - Eat as Many Fresh Pears as You Want! Tottori is famous for its high-quality pears and persimmons. The Japanese pears are round in shape and very juicy. If you visit Tottori at the beginning of fall, we strongly recommend visiting a local orchard and taste some fresh pears. Mikaen Farm is one of the most popular places for pear picking in Tottori. The best timing to pick pears is between August and September but some types of pears are still available for picking until mid-November. Instead of using harsh chemicals, Mikaen Farm grows their pears in small paper bags to protect them from dust and keep them bug-free. After paying the entry fee, enter the orchard and you'll be given a plate and a small knife. All you have to do is to pick your favorite pear and start eating. For one hour you can eat as many pears as you want. It is possible to take some pears home with you as well for a small extra charge. If you go to Tottori, get your fill of juicy Japanese pears! Access About 21 minutes by bus from Tottori Station. Take a bus on the Iwai Line and get off at Hamayuyama bus stop. The Aoya Washi Studio is located further up in the mountains. Washi is traditional Japanese paper. The Aoya Washi Studio specializes in Inshu Washi, one of the oldest types of Japanese paper. They offer exhibitions showcasing many different figurines made of washi, even small people and animals. You can't purchase the pieces on display, but you can have a look around in their gift shop instead. Here you can find ready-made items such as washi postcards or earrings as well as do-it-yourself items such as lampshades. If you have some extra time, we highly recommend trying the papermaking workshop. Depending on the size of the paper you want to make, taking part in this workshop costs between 300 and 500 yen (including tax). One of the options available is to make an original lampshade out of the washi you've made yourself. Making your own Japanese paper from start to finish is a fun and unique experience and will surely make for a very special souvenir from your trip! Access About 15 minutes on the Hinomaru bus for Kobatake. Get off at Aoya Washi Kobo bus stop. Price The permanent exhibition can be viewed for free. Entry fee to the temporary exhibitions: Adults 100 - 300 yen, Children 50 - 150 yen. Nakaigama Pottery Studio is the place you should visit if you want to see more traditional Tottori pottery. Nakaigama is one of the longest existing pottery studios in Tottori. The items are still prepared with the utmost care as they were many centuries ago. Tottori's traditional folk craft pottery uses three colors in its craft: black, green and white. Using these three colors, a great variety of patterns and combinations are created. Most of the items on display here are on sale and even visitors from all over Japan come to Nakaigama to buy truly traditional pieces. Why not take a traditional piece of pottery as a keepsake from Tottori that you can enjoy daily? Iwaigama is a pottery studio located in Iwami, an area neighbouring Tottori City. This is another type of pottery that Tottori takes pride in. The owner of Iwaigama has been making pottery for fifty years. The first floor houses the owner's personal collection of European pottery and furniture. On the second floor there is a pottery collection on display. The studio and shop are located in the adjacent building and here you can purchase handmade Iwaigama pottery items. Iwaigama pottery has a stylish, contemporary design and it can be used in daily life. You can find unique items such as small milk pots alongside more traditional Japanese items like chopstick holders. If you are hungry, make sure to visit Tea Room Hana, the cafe named after the cute dog that guards the Iwaigama store. At the cafe, they serve home-cooked meals and delicious drinks using Iwaigama pottery items. If you decide to visit Iwaigama, don't forget to greet adorable Hana herself. She is an Akita dog, the same breed as the famous loyal dog Hachiko. Access Take the Nihon Kotsu bus bound for Kabushima from Iwami Station and get off at the Chojaryo Iriguchi Bus stop. Or, take the Nihon Kotsu bus for Iwai Onsen and get off at Iwai Onsen bus stop. The facility is located about 10 minutes away on foot to the north. Play, Create and Explore in Tottori! There are so many things and areas to explore in Tottori City. If you visit for the sand dunes, how about spending a few leisurely days in Tottori City exploring the area's famous spots and hidden gems? It will surely become a memorable trip. Also, don't forget to check MATCHA’s special feature on Tottori Prefecture!